Showing posts with label shopping. Show all posts. As we make our way through Q1 of 2019, let's look back on 2018 and analyze how funding in the retail technology sector compares to previous years. 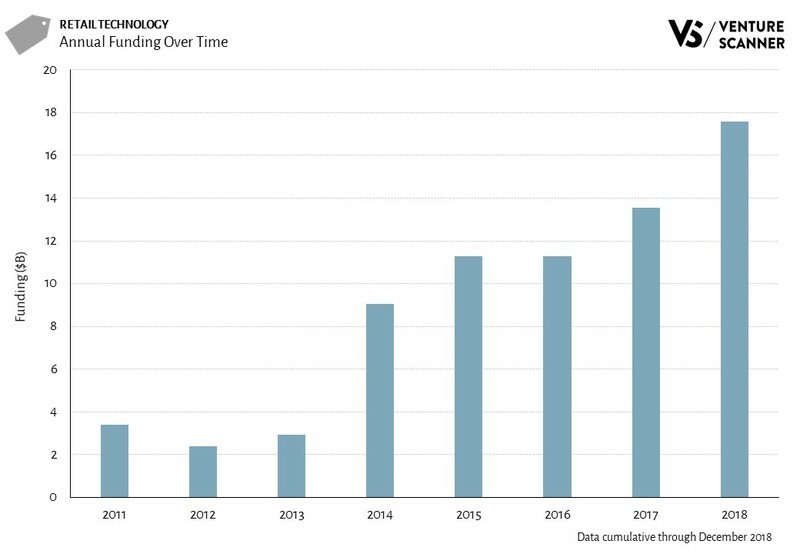 The graphic below shows the total annual retail technology funding amounts over time.